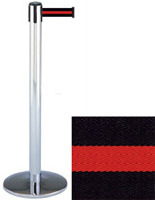 These chrome stanchions with white stripe belt are ideal for setting up queue lines, separate dining areas and blocked entryways. Each post measures 38" tall and the included retractable strap is 13' long, requiring less fixtures for covering a large area. 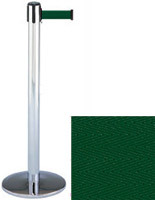 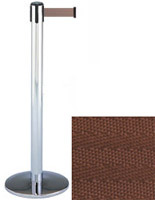 The chrome stanchions with belt are great for restaurants, retail stores and event venues where they can organize large crowds with their stable design. 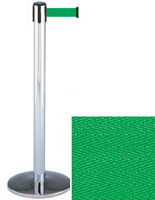 The posts are made of strong metal with a sturdy weighted base that keeps them upright in high traffic areas. 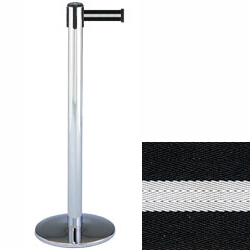 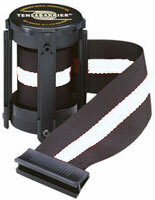 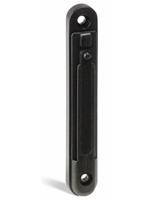 In addition, the chrome stanchions have a 4-way adapter on top for making service lines and more complex configurations.